NASA is calling the new images "spectacular," and for good reason. 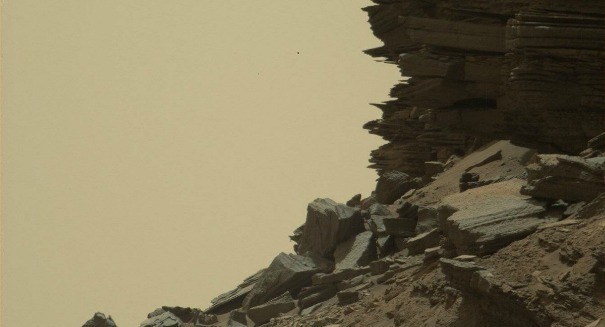 This is view of Mars unlike anything you've ever seen before. NASA’s Mars Curiosity rover has sent back its latest images of the Red Planet, and these may be the greatest images it has ever captured. NASA couldn’t hold back in its amazement at the pictures, describing the images as “stunning” and “spectacular” due to the stunning detail that they show in the landscape. The rover is currently at the base of Mount Sharp in the “Murray Buttes” region, and the photos look like they were captured in a desert here on Earth by a professional National Park Service photographer, according to a Joint Propulsion Laboratory statement. The pictures were taken with the Mast Camera just a couple days ago on Sept. 8. The rover team will be assembling a few large color mosaics from the many images taken from this location. Scientists believe that these buttes and mesas on Mars were eroded from ancient sandstone. These ancient sand dunes were altered by groundwater and eventually eroded into the landscape that exists today.